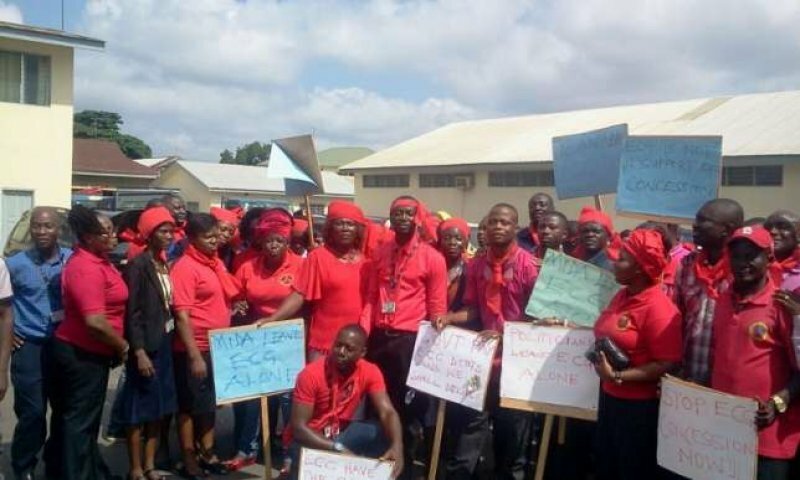 Staff of the ECG will beginning today boycott work for three hours nationwide on daily basis over the planned concession arrangement by government. Although the workers will show up for work in the morning, they will suspend work from 8am and resume at 11am each day. The action is part of their resistance towards the planned privatization of the company by government. The Public Utilities workers union (PUWU) is among others, asking government to review the MCC Compact and modify the private sector participation to include pragmatic steps to bring efficiency to ECG. General Secretary of the Trades Union Congress, Dr. Yaw Baah said the grievances of the ECG Staff are legitimate. “The workers are not doing this for their sake, they are fighting for this country…. Between 1990 and 2006, about three hundred and sixty state enterprises have been sold and that has not achieved any results and we are still selling…why do we keep selling? That is not the way to go”. Meanwhile, a group also opposing the privatization, Coalition against the Concession arrangement, said government needs to think outside the box and not hand the company on a silver platter to a foreign investor.